Line two large ramekins with plastic wrap, squeeze a little lemon juice on top, and place the smoked salmon into the ramekins, covering the base and have the salmon hanging over the edges. Sprinkle with chopped chives. Whisk the eggs, cream and seasoning together in a bowl. Heat a non-stick frying pan and cook the eggs over low heat, stirring regularly until cooked to your liking. 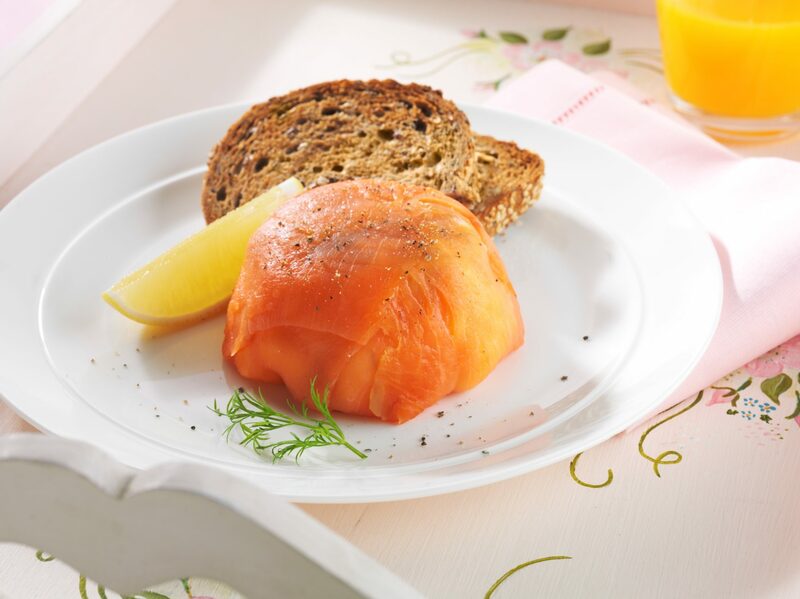 Place eggs into the ramekins and fold smoked salmon over the edges to make a parcel. Turn parcels on to plates, remove the plastic wrap and garnish with sprigs of dill. Serve with hot toast. Tip: Serve with wilted spinach for breakfast or with a fresh garden salad for lunch.